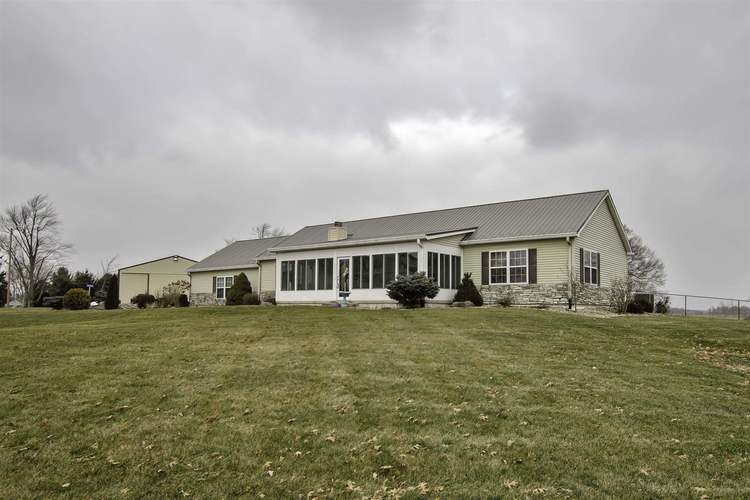 Gorgeous park like setting with 4.7 acres, finished basement and pole barn with office and bathroom. Main level with 2 large bedrooms and 2 full baths. Large great room with gas log fireplace. Beautiful kitchen with appliances and dining room overlooking property. Living quarters on lower level with another bedroom and full bath with ceramic tile flooring throughout. Sun porch and big 2 car attached garage.